Whether you have played a course 20+ times a year or looking to play the course for the first time, insights from an insider can help enhance your golf experience. 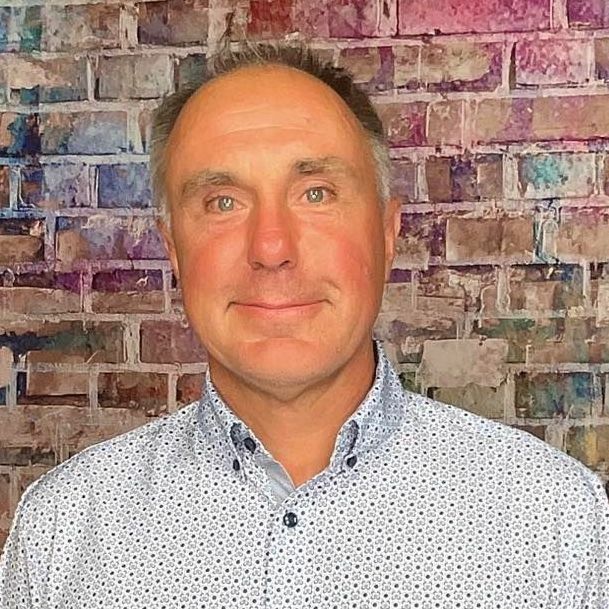 Below is an interview with Luke Luttrell who shares some valuable tidbits about the course, memorable holes and must eats and treats at the 19th. Overlooking the Columbia River, in the high desert of North Central Washington, Gamble Sands is blessed with one of the most dramatic settings for true links golf in the world. In fact, golf course designer, David McLay Kidd described the location as a "once in a lifetime site that every designer dreams of." Gamble Sands has already received rave reviews from industry leading publications such as Golf Magazine, Golf Digest, and Golfweek, among others. We are proud to announce the newly constructed Inn at Gamble Sands is now open. The Inn at Gamble Sands was designed with you in mind. First and foremost, we wanted to create a lodging experience that was as comfortable and memorable as the golf course itself and where guests would want to gather at the end of the day and gaze at the north Cascade Mountains or the fiery sunsets. The Inn boasts 37 over-sized guest rooms, broken down into 24 Double Queens (Two of which are ADA), 10 Kings and 3 King Suites. Along with boutique amenities and hypo allergenic bed packages, each room features a gas fireplace, 55" Flat-screen TV and personal Keurig coffeemaker with Starbucks Coffee. The property also offers the Cascades Putting Course designed by David McLay Kidd, a Fitness Room, two Fire Pits, a 24-person hot tub and meeting space for up to 30 people! This is all served up with our warm hospitality. On behalf of the entire Gebbers family, we look forward to welcoming you to the Inn at Gamble Sands. The Sands course at Gamble Sands unfolds along a picturesque sandy ridge overlooking the Columbia River. 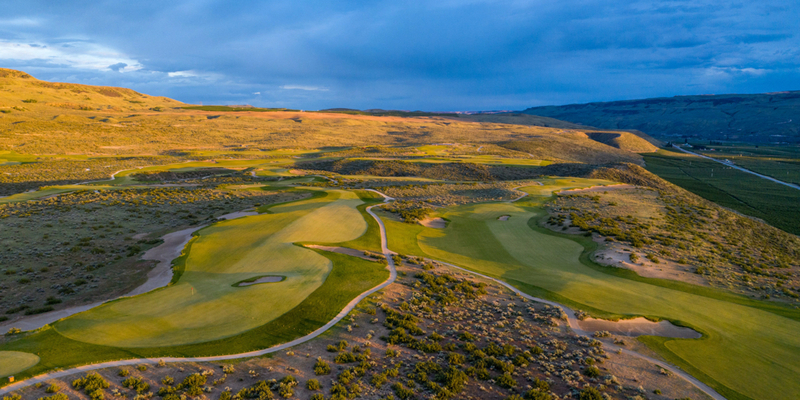 By design, it delivers a true links golf experience with fine fescue and firm conditions on a scale that perfectly complements the wide-open spaces of central Washington. It truly is nothing short of sensational. Finally, use our expansive fairways to your advantage! "Cutting the corner" doesn't necessarily help you. You can see for miles and miles while on the sandy plateau of Gamble Sands. The objects look closer than they appear. You may not always be able to carry those "easy looking" carries on our dog-legs. Hole #2 is our Most Photographed Hole on property. It is a short drive-able par-4 looking downwards towards the beautiful Columbia River with the picturesque North Cascade Mountains in the background. The green sits on the edge of a sandy cliff and gives you a truly breathtaking view of the valley. The par-4 5th hole would have to be my favorite on property. The 5th hole is a long, sweeping dogleg right par-4. For the pros it's 517 yards, but it plays much shorter. The tee-box sits on the cliff edge with a gorgeous view. The hole itself has a drastic and deep valley to the right. Bunkers border the whole right side of the hole while the vast fairway sweeps from left-right towards the green. I believe this is one of the toughest holes on the course based on its bunkering, green placement, and its distance. However, it gives the perfect representation of David McLay Kidd's minimalist style of designing the course. When David was vying for the job he told our owners he would design a course that "fell from the sky and simply lay on their land." This hole epitomizes that statement. The key to playing this hole is to "read the fairway like a putt." Look at where you want your ball to end up based on the way the fairway is contoured and adjust your aim accordingly. This is the first example on property where drastic hills will influence the roll of your ball once on the ground. Therefore on this hole, aim well left towards right-edge of the left fairway bunker. From there the ball will roll hard right and stay in the fairway. On your approach, play the ball to the front edge or middle yardage you'll find on the sprinkler heads. Our greens are firm, the green is elevated, and the ball will have little spin and plenty of roll out. Good luck! This is one tough, but beautifully designed. Our must have dish is one that incorporates our local, savory beef. For generations, the Gebbers family has raised Black Angus cattle with a unique focus on local, natural, beef of the highest quality. Once you try one of our mouth-watering steaks from our own Gebbers Cattle brand you'll be asking where you can purchase this down-home delicacy. Frank Garber, formerly of Juanita High School and current stalwart on the University of Washington Men's Golf Team, owns the course record by shooting a blistering 62 from our Medal Tees. Frank began his round by holing-out for eagle on his 1st hole and proceeding to go birdie-birdie on his next two. 4-under par through his first three holes got Frank off to the perfect start he needed to set Gamble Sands' course record.